You know when you associate some people with certain smells or foods? Well, I associate darling Rebecca of Everyday Parisian with CROISSANTS! Seriously, she’s a girl who’s soul belongs in a Parisian boulangerie. For real. If you’ve ever read her blog, you’ll know she’s all about everything Parisian wherever she goes. But luckily, I get to always see her in her element, in Paris! We did this little session at her amazing Haven In Paris apartment here in Paris during her birthday week! The fresh fruit, coffee, and croissant and baguettes are just the perfect breakfast, and the perfect surrounding for her! What do you think of this breakfast? Would you add anything? Paris seems to be a city of inspiration for so many creatives... lucky as I am, I get to meet a ton of them who come through. Usually a quick portrait session with a side of coffee is my go to way to get to know them so we can create beautiful portraits together that are relaxed and natural. It’s one of the things that is super important to me, you have to be able to see a little peek into my subjects soul. If you don’t have that, why take the portrait? At least, that’s my view as an artist. I think that I simply love people, and photography is my way of expressing it. It’s why I’m not a fashion photographer or a landscape photographer, to be honest, I forget about everything other than the people. To me, everything in life is measured on how it makes humans feel. Doesn’t this make you want some of that steaming hot cocoa!? Mmmmmm, so good! Music, art, how peonies smell when they first bloom, your favorite shampoo, herbal tea.. it’s worth is simply how you feel about it. If peonies make you gloriously happy, then pay the few extra bucks to buy a bouquet out of season. That’s my opinion at least. That’s how I give worth to photography and portraiture in general. Do you look at a portrait and have it transport you back to your favorite vacation? What about that memory of your grandma laughing? Does seeing your great grandparents wedding portrait give you a feeling of family and a sense of legacy? Whatever art does to you, I hope my art makes you feel like you get to know the people in them. That they give you some of their joy for whatever they’re doing in the portrait. Per usual, my meeting with Kit of The Kittchen was serendipitous and came together fully at the last minute. I feel like that’s my life tag line (haha). A Maine native, and now living and working in Chicago, we found we had a lot in common.. Funny story, I told my dad about her parent’s BNB in the same town in Maine where we vacation and now our dads have connected. Small world, eh? In pure Katie form, we took a pit stop at a cafe (Judy Café to be exact!) during her photo session (I mean, it was totally normal, her blog is about food!) and had delicious hot chocolates!! We chatted and just enjoyed walking around in a very misty Paris. If you’re interested in her, head over to her blog. Before we met, she sent it over to me as these portraits are for her blog and social media, and right away I thought, “I need to meet this woman!!”. Don’t you love how that works out sometimes? Love this shot.. A true Paris experience and being pulled in by the beauty of it all..
Katie Donnelly, Paris Photographer, Interviewed by Luca Magazine! Humbled feelings of excitement, and so much gratitude are all whirling through my head right now.. I always dreamed of being interviewed by a national magazine about my crazy road to entrepreneurship. Spoiler alert: It’s not an easy road. Every day I work, and struggle, and fail at things.. But every day I’m also beyond happy, succeed, and create. If anyone wants to know what building a business (an empire?) feels like, it’s a lot like this below. A mix of doubts, crazy internal drive, confidence, and knowing that the rug could be pulled out from under you in an instant. Thank you a million times to Cece, Brittany and the whole team over at Luca Magazine for this piece AND for making this over-excitable brunette one happy girl. GUYS, Pick up a hard copy at your local Barnes and Noble! Also, thank you thank you to Eden Photography for one of the best portraits EVER of me! Want to learn a bit more about KDP and Katie? Head over to our about page! 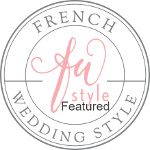 It was so much fun working with White House Black Market, My Style Vita, Lauren Elyse, and Lush to Blush on this cute Eiffel Tower picnic! I wish you could smell those strawberries, they were SO GOOD! What a fun experience photographing the lovely Jessica of My Style Vita! See some fun work featured on her blog here, here, here and here. It was so much fun to meet and work with Lauren Elyse (formerly Fashionably Lo) on a few shots for her blog and instagram recently! You can see more here and here! Excited to be One of Click it Up a Notch's Top 16 Posts in 2016! I'm incredibly humbled to share that one of my recent articles written for Click it Up a Notch was included in the top 16 posts for 2016! You can see the top 16 posts HERE.